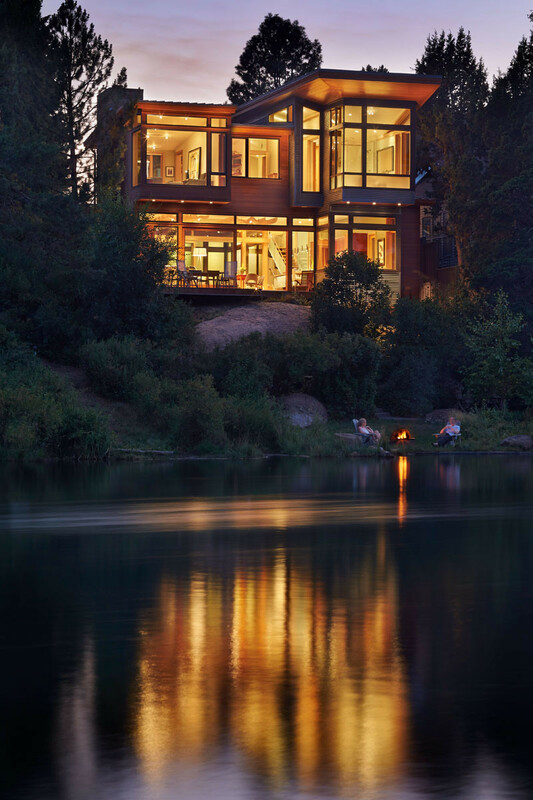 This new home, designed by American architect Nils Finne of FINNE Architects, is perched above the Deschutes River in Bend, Oregon. 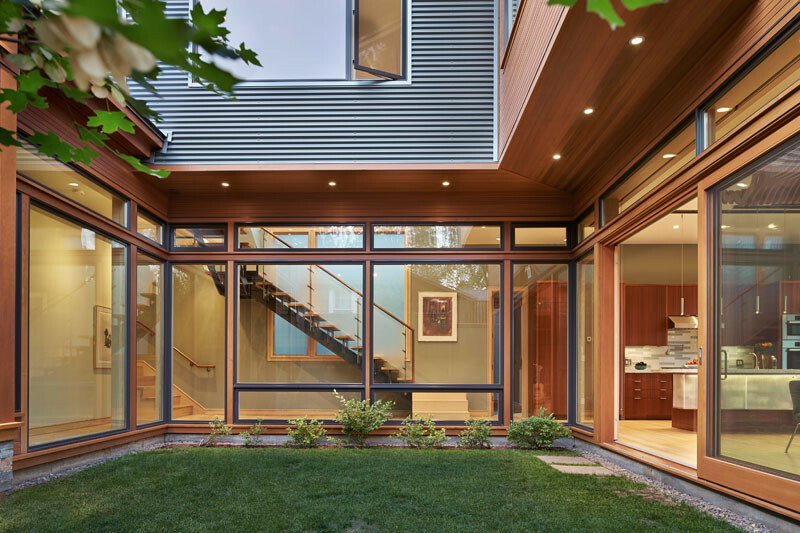 The home has been covered in two types of siding. 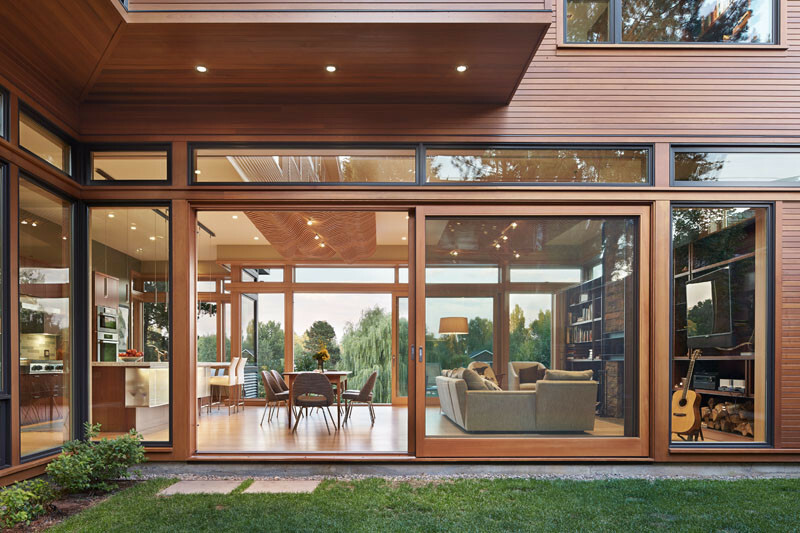 a tightly spaced Western red cedar and corrugated metal siding. 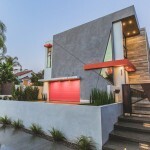 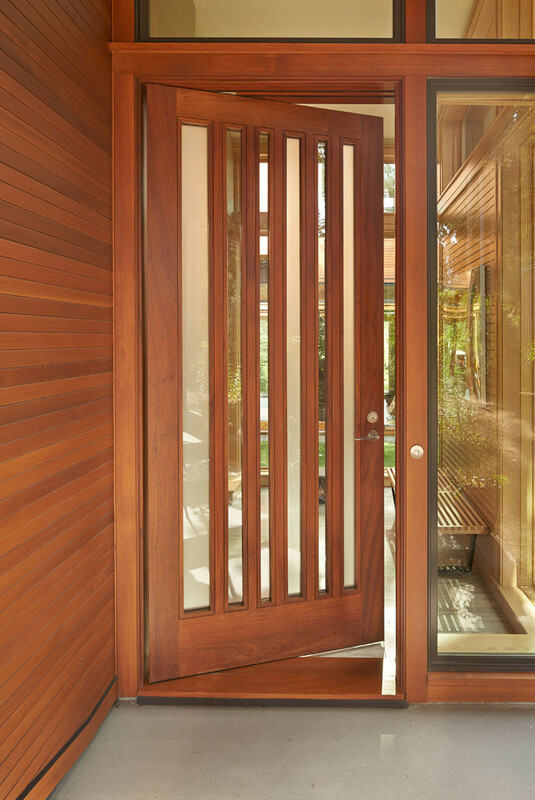 The cedar is stained a natural wood color to contrast the “zinc grey” color of the metal siding. 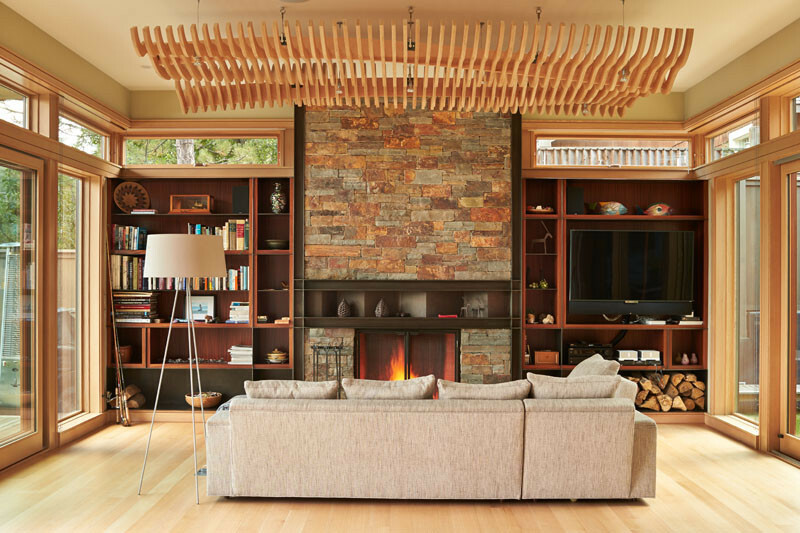 There’s also the fireplace chimney that’s clad in Montana ledgestone. 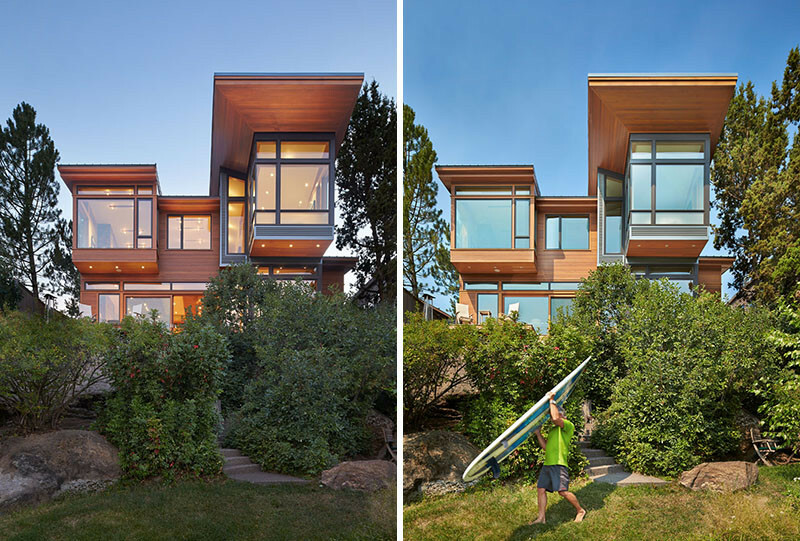 There’s a courtyard to provide a quiet and contemplative space, in contrast to the active river side of the house. 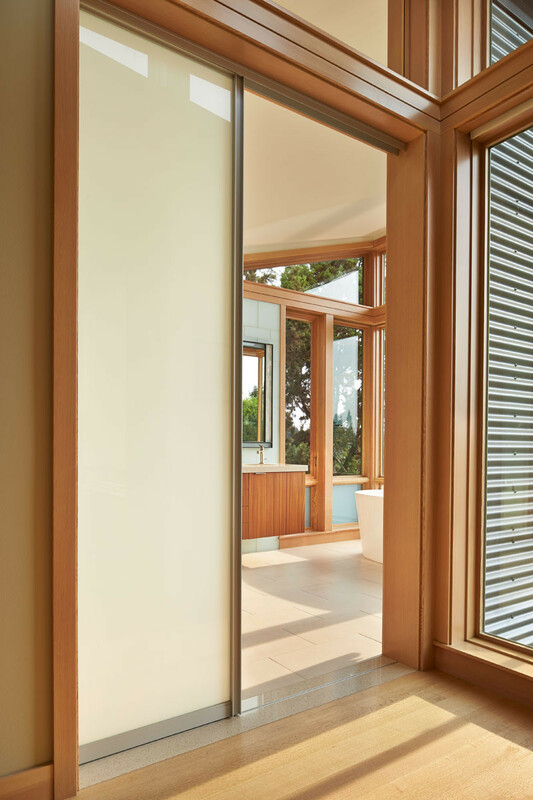 Welcoming you to the home is this wooden door with vertical glass inserts. 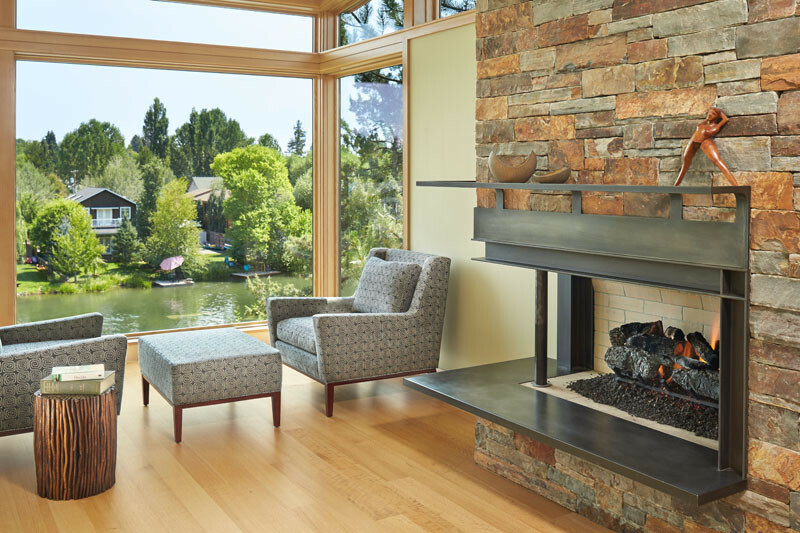 In the living area, there’s a fireplace and large 8-ft by 8-ft sliding glass panels, ideal for taking advantage of the river views. 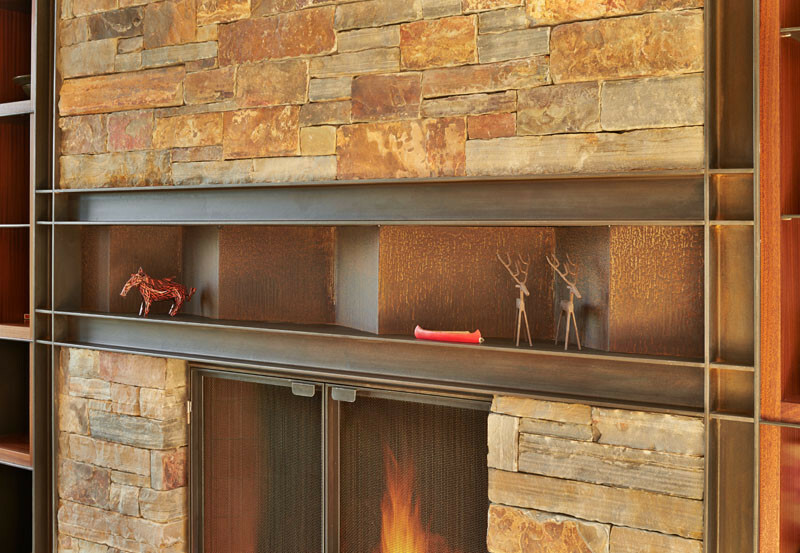 A folded steel mantle has been installed above the fireplace. 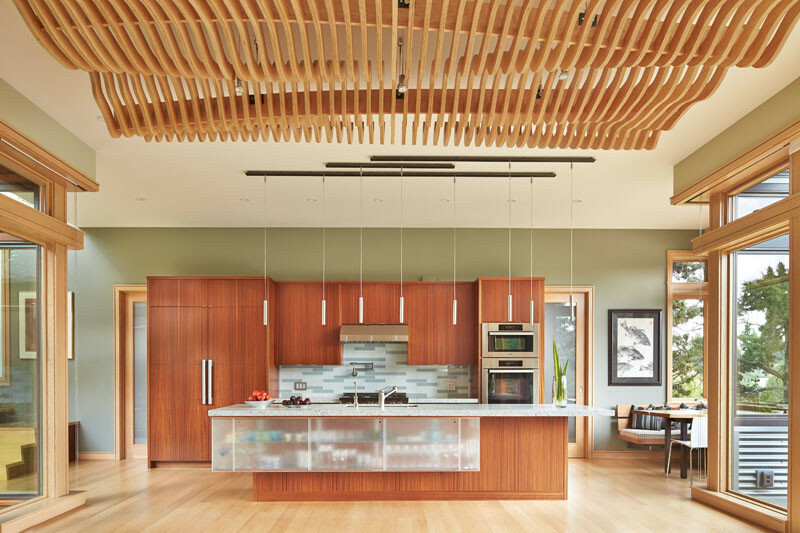 In the main living/dining space, two curvilinear wood ceiling panels are suspended from the ceiling. 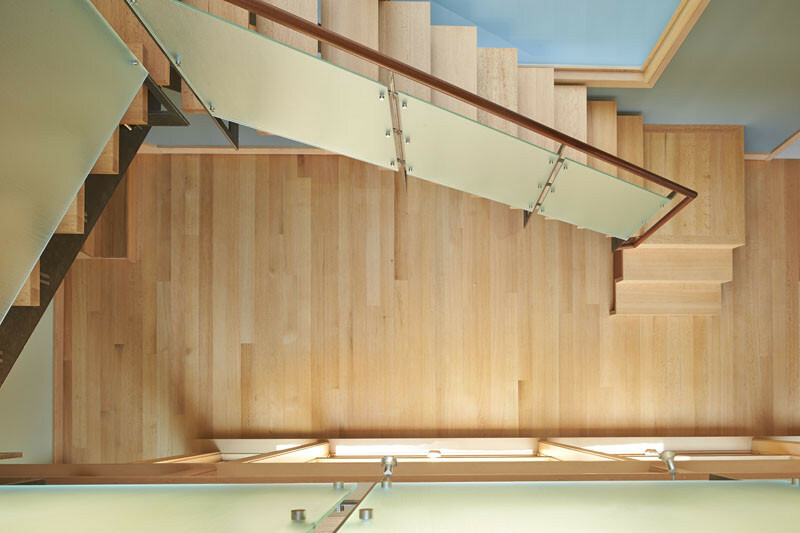 Each panel has 60 uniquely shaped wood slats (milled using CNC equipment), and are tightly spaced in order to create an abstracted river landscape. 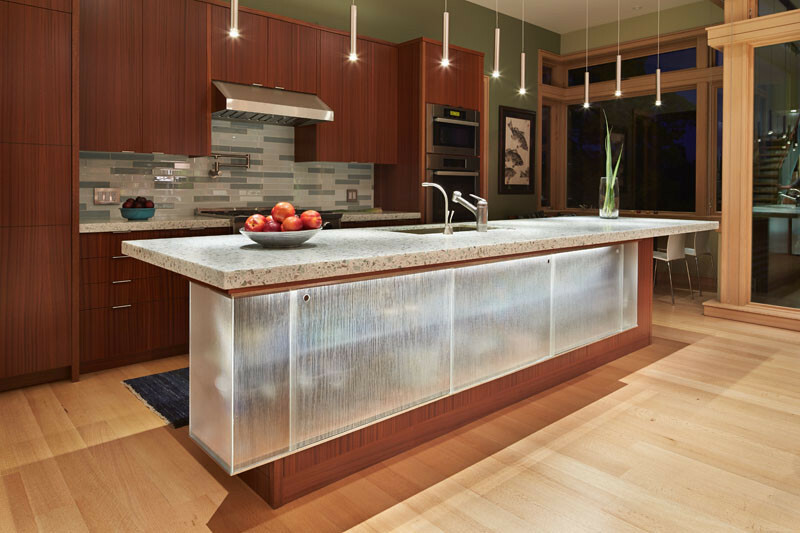 In the kitchen, the island has a suspended glass cabinet with hidden LED lighting. 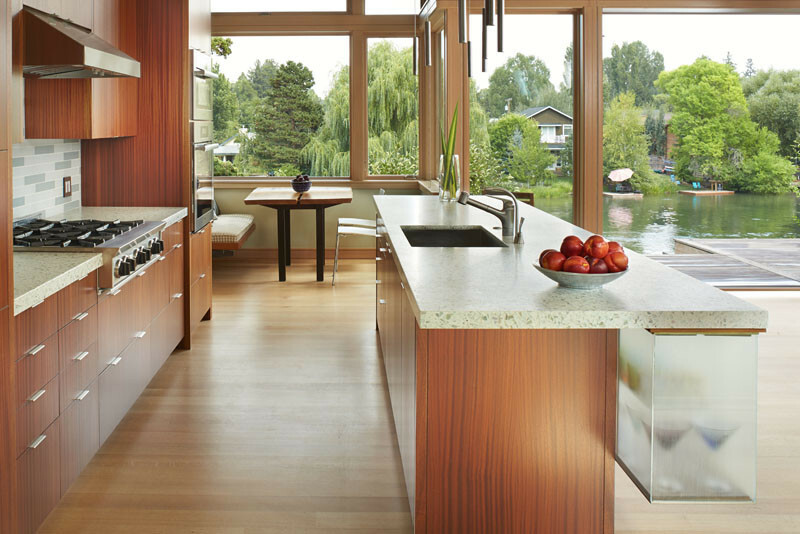 Just off the kitchen is a small breakfast nook with picture perfect views of the river. 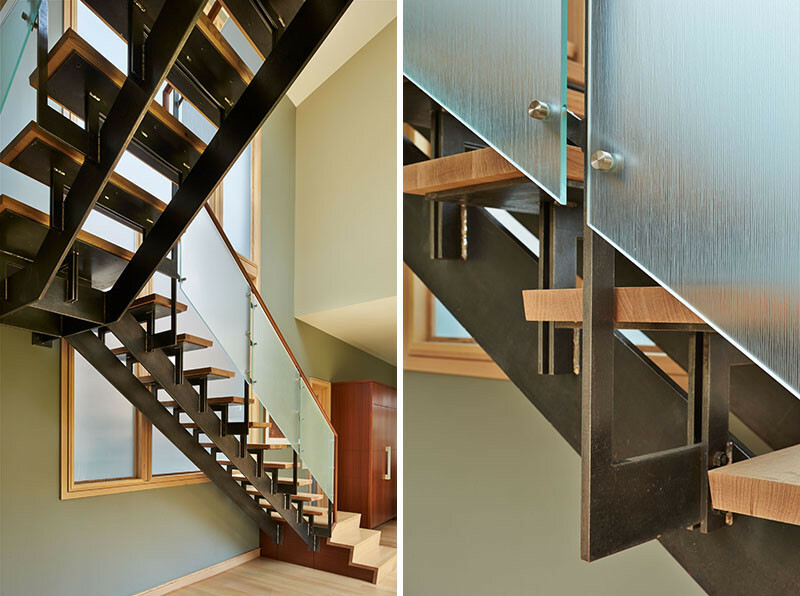 Steel, glass and wood stairs connect the various floors of the home. 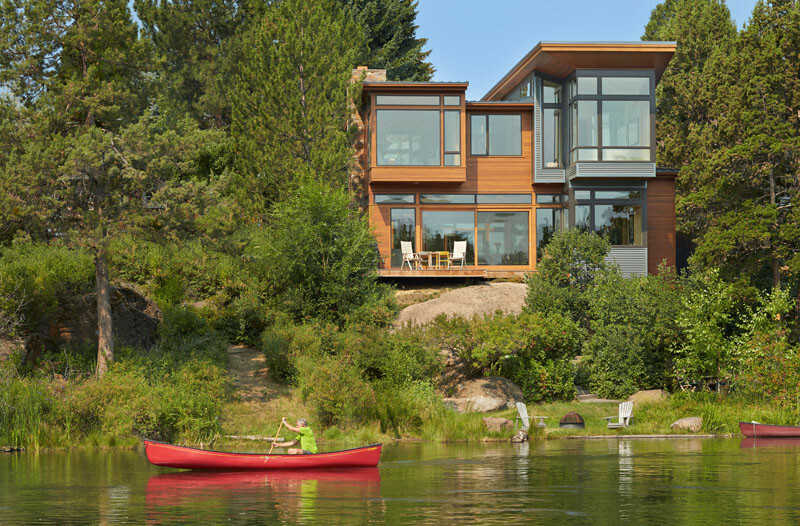 Upstairs, the master bedroom and study also enjoy spectacular river views. 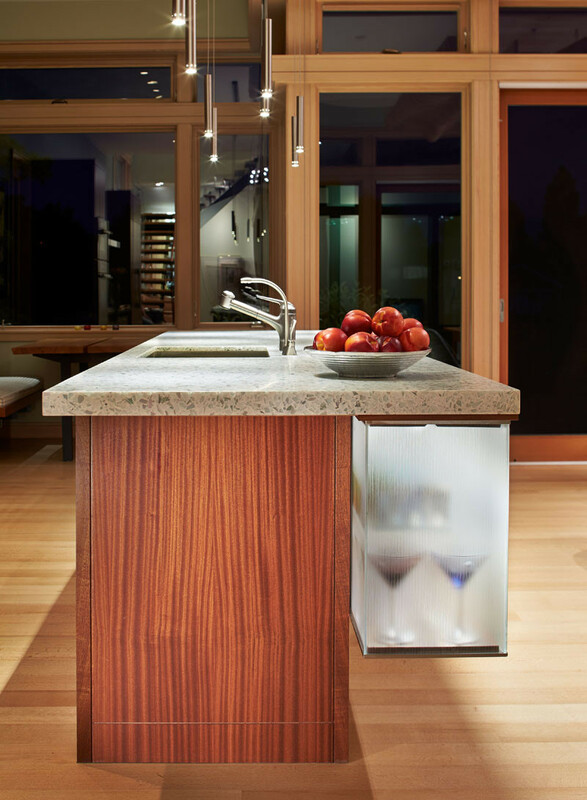 The master bath cantilevers dramatically out toward the river, allowing the freestanding tub to visually float over the river traffic.